For me, the most rewarding part of teaching is introducing my students to primary sources. Each of my classes involves a lecture period plus an hour of small-group tutorials in which the class works its way through a book that I have chosen. In the books that have come down to us from the past, we have access to Christian minds far more energetic and more accommodating than our own. It is a joy to find yourself in the presence of a mind that you cannot fully comprehend. This has always been one of the chief reasons for studying the humanities at all: to learn that the human spirit is larger and more interesting than one's own poor spirit, or (this is the political benefit of studying the humanities) than the spirit of the age. To read books from the past is also to encounter minds with their own prejudices, parochialisms, and blind spots. But students soon discover that they are able to discern these limitations and to address them. Such scholarly discernment is much more difficult (i.e. usually impossible) if one is reading contemporary authors, since in this case the blind spots of the reader and those of the author tend to be identical. (For more on this, see C. S. Lewis' brilliantly perceptive introduction to Athanasius.) If students are given a book by Moltmann, they will simply absorb it; if they are given Augustine's Confessions, they will be forced to argue with it. I have seen students walk away from my first-year theology class either infatuated with Augustine or infuriated with him; in both cases I am delighted to see that real learning had occurred. But when students read only contemporary authors – even if they are very good authors – something quite dangerous and enfeebling happens. The students come away feeling neither infatuated nor infuriated but only affirmed. Their own prejudices and parochialisms have been reinforced. Their blind spots have become even blinder. I've also come to believe in the importance of getting students to read whole books, not just excerpts. Anthologies of primary sources have their place. But after using them in some of my classes, I began to notice that the principles of selection tend to obviate the educational benefits of primary sources. The contemporary anthologist will select a passage on atonement from Athanasius, since we all know already that "atonement" is a noteworthy topic. But anthologists will omit all that weird stuff in Athanasius about the martyrs; and they will certainly omit all that offensive stuff about the Jews. Yet it is precisely in the weird and the offensive material that students have the opportunity to observe the author's unspoken assumptions at work. And it is by struggling to account for the author's blind spots that students achieve – or at least have the opportunity to achieve – a certain critical distance from their own unspoken assumptions. So anyway, this is what I'm most looking forward to in the coming semester. 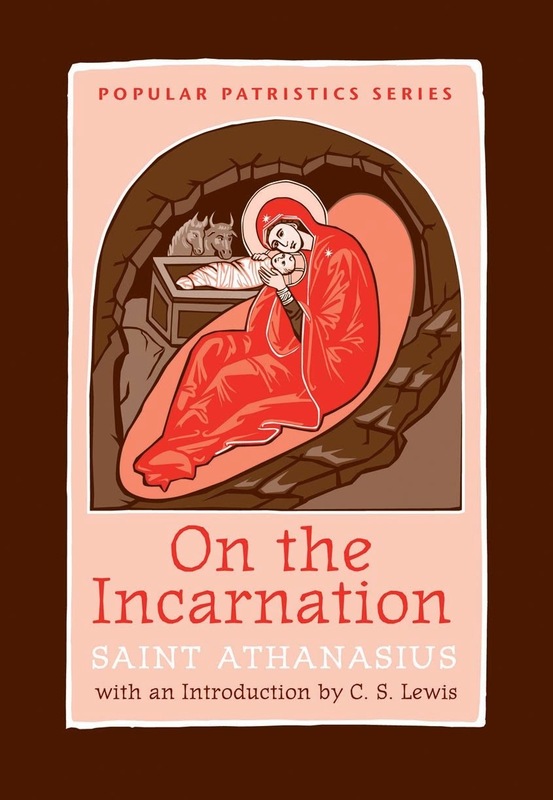 My christology class will be working its way through Irenaeus' Against Heresies Book 3, followed by Athanasius' On the Incarnation. My week-long intensive class on theological anthropology will be discussing Basil's homilies On Human Nature. And my first-year ecclesiology class will be working its way through Bonhoeffer's Life Together. And I'm already looking forward to reading through Julian of Norwich with a class on Christian spirituality next year. When I first got interested in theology many years ago, it was the concepts and ideas that meant the most to me. Nowadays it's these voices from the past that have come to mean the most to me. And these days the books I love most are not just my own personal favourites, but the ones that are the most teachable. It is the books that foster a community of learning and inquiry in the classroom that I love best, and that keep me enthusiastic about the benefits of theological education.